So last night I thought it would be fun to ask my Facebook friends to help me find the perfect place that deserves to be on this Top 30 Favorite Spots list. I got a few interesting answers, but one stood out and seemed to have won the hearts of many. My sister, Cha, even noted that this place deserves a higher spot on the list. Hands down, the readers' choice is El Nido. Fact is I haven't been to El Nido, yet. It's that one destination I've been meaning to go for a long time, but had to be put off for a while because I had to finish my 80Before30 challenge. 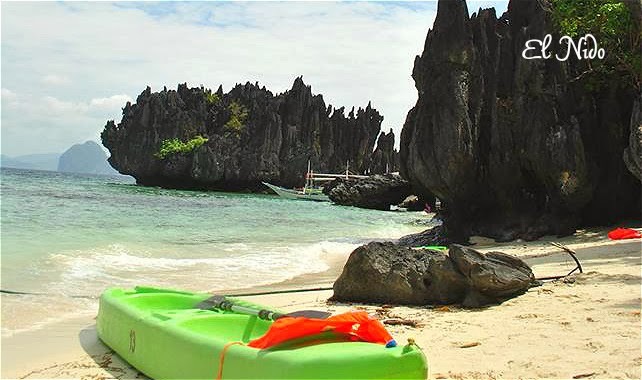 I've been to Palawan's Coron and Puerto Princesa, but I guess I'm reserving El Nido for a special trip this year. This coming September, I'm finally booked for El Nido (many thanks, Anchi!). So what's in El Nido, anyway? I've seen very tantalizing photos and heard great stories about its dramatic towering cliffs, enchanting lagoons, gorgeous sunsets, secret coves, pristine beaches, caves, waterfalls and mangrove forests. All amazing! 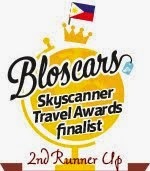 Many travel magazines and blogs hailed it as one of the best travel destinations in the world. All these raves and accolades elevated my El Nido expectations to a level much like what I had before with Batanes, but I have to wait a bit more. Hopefully, September comes a little sooner.